The total number of passengers increased by 15 per cent compared to the same month last year, while the load factor at the airline was 94 per cent. Norwegian carried 3,358,565 passengers in July. The total traffic growth increased by 23 per cent during the month, driven by a 24 per cent capacity growth. The load factor was a solid 94 per cent network-wide, and the intercontinental routes had a load factor of 96 per cent. Norwegian chief executive, Bjørn Kjos, said: “We are very pleased that an increasing number of passengers choose Norwegian for their travels, not least intercontinentally. “It is also satisfactory that even with a strong capacity growth our aircraft are full. Norwegian operated 99.1 per cent of the scheduled flights in July, of which 68.8 per cent departed on time. 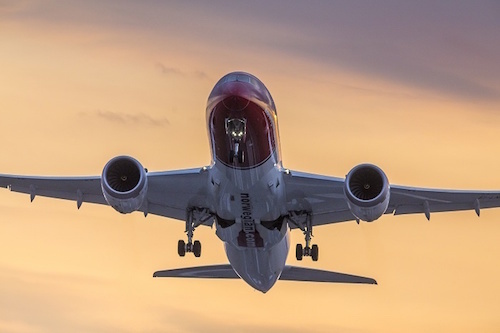 Norwegian’s fleet renewal program continued in July with the delivery of three Boeing 737 MAX aircraft and two Boeing 787-9 Dreamliners.